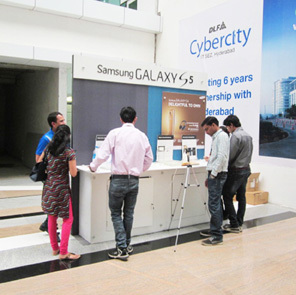 Exhibitions are rapidly emerging as the most preferred and profitable below the line marketing mediums. The number of exhibitors per year is growing rapidly as exhibitions offer high return on investment. In order to make the most out of your exhibition investment, it is crucial that you strategize your presentation. 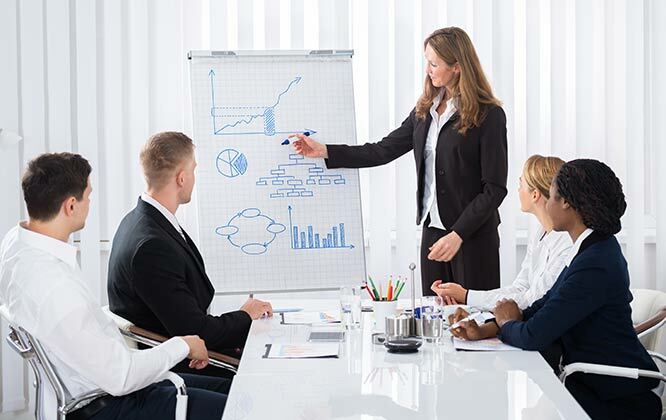 In this article we give you 5 tips to strategize your exhibition presentation effectively. 1. Determine your marketing goal – Before you rush to book your exhibition space and exhibition stand, take a minute and ask yourself, “Why do I want to participate in exhibitions?” . Every exhibitor must have a predetermined goal. Your marketing goal could be anything, from seeking to increase brand recognition, to boosting sales or networking. If you have a predetermined goal, it becomes easier to plan the show. From your marketing strategy to exhibition stand design everything must be planned to help you achieve your marketing goal. 2. Design your exhibition stall appropriately – Your exhibition booth is by far the most important marketing tool of your exhibition presentation. Most exhibitors undermine the importance of exhibition booths and settle for cheaper options, while others believe in commissioning an extravagant booth to stand tall in the crowd of exhibitors. An exhibition booth must always be designed in accordance with the marketing plan. For example – If your aim is to network and grow your client base then you need a booth with sufficient space for meetings. If you intend to demonstrate your product at the show then you need a podium for demos and Q and As. 4. Keeping your expenses in check – Budgeting is a very important part of strategizing. If you do not keep it under check, the expenses at exhibitions can be skyrocketing. Your aim is to make profit out of your investment and for this reason you need to have a predetermined budget for everything; be it your exhibition stall or your miscellaneous expenses. Keep a tab on ad hoc expenses as well and make certain that you do not exceed your predetermined budget. 5. Have a contingency plan – What if your show doesn’t turn out as planned? What can you do to salvage the situation? A contingency plan is a must. While you hope for things to turn out as planned, you must have a plan B in place as well. Imagine you conduct a game show at your booth but the turn out isn’t as expected. You cannot go on with the same plan for the rest of the show, you need a backup plan that you can implement immediately to attract the attention of the audience. 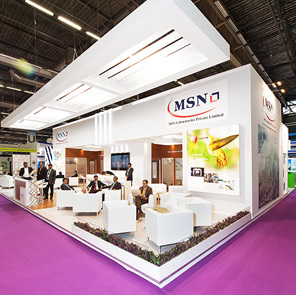 Strategizing your exhibition plan with ensure a smooth exhibiting experience. It will help you to achieve your marketing goals while keeping your investment under check.